Single post stand with U base design provides support and versatility. Stainless steel tray measures 19 x 12 5/8. Tray adjust from 32 1/8 to 50 with lock. Two, 3 casters provide additional mobility. Single post stand with U base design provides support and versatility. Tray adjust from 32 1/8 to 50 with lock. 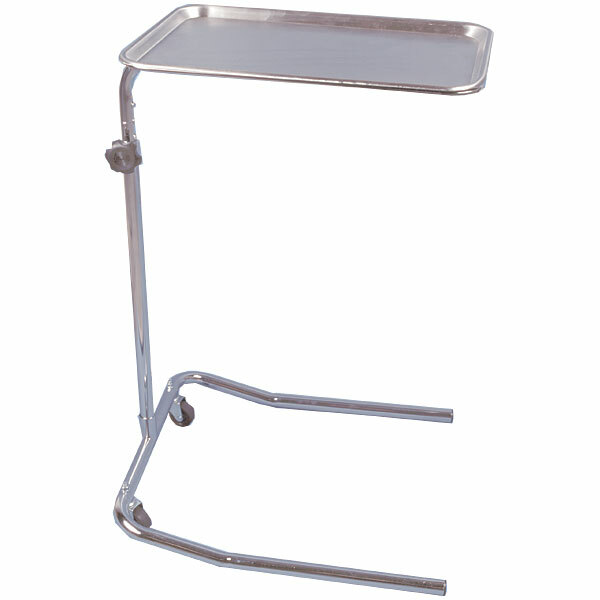 Stainless steel tray measures 19 x 12 5/8. Two, 3 casters provide additional mobility.